This year I have not been overdoing the ‘wonders of Nature in the Wye Valley’ brand of post . . . but I thought this might be an exception. Breathtaking to see it in this peak of brightness – especially as the day on which this photo was taken had seen torrential rain for hours on end. I do not know whether e-smell has been invented yet but I certainly don’t have an ap for it. If I did, you could enjoy, as we did, the extraordinary smell of burnt sugar that comes from the leaves that have fallen to the ground. 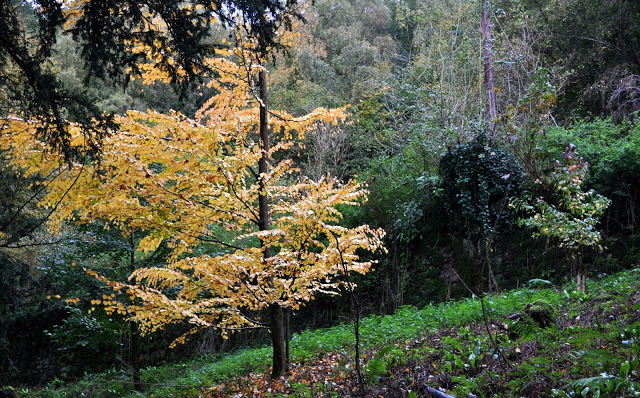 It is a Cercidiphyllum japonicum and I planted it a number of years ago. 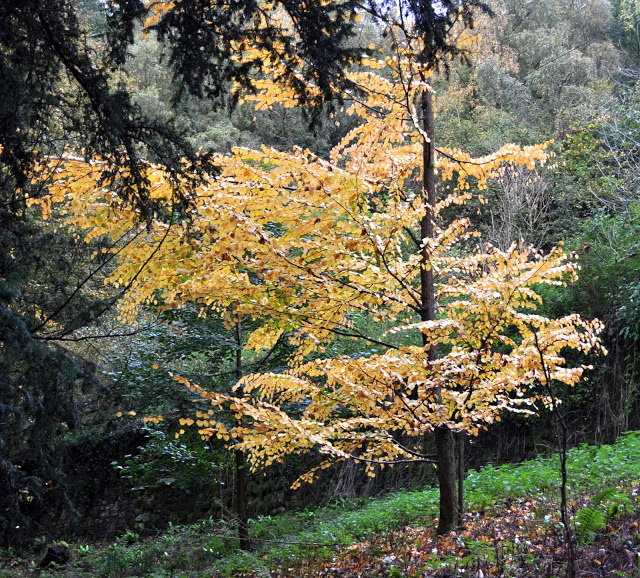 More recently I planted a Liquidamber quite near to it and that is also doing well, in an adolescent sort of a way. In a few years time the double act should be quite something!